Outsiders visit Dunwich as seldom as possible, and since a certain season of horror all the signboards pointing toward it have been taken down. 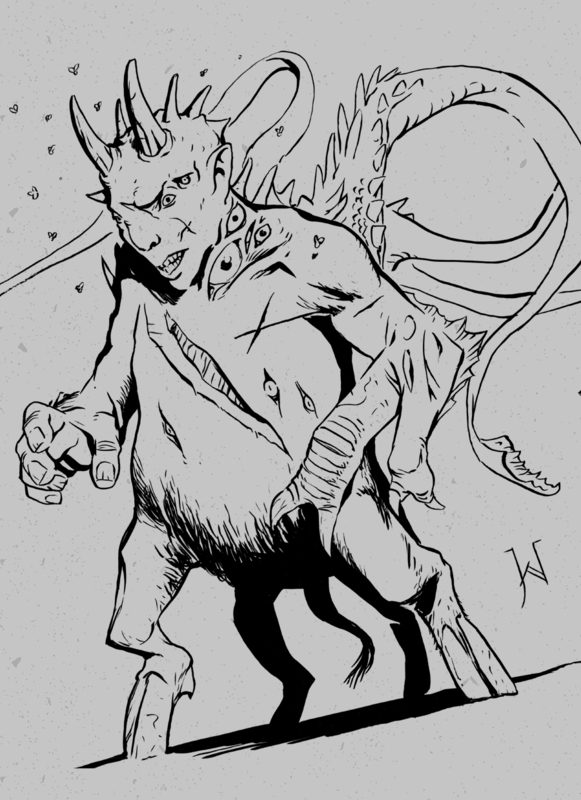 Wilbur’s twin, known as the Dunwich Horror, was kept secret for years in the Whateley farmhouse. One September, it broke free and left a trail of barrel sized tracks and drained cattle. The beast itself, was invisible to the naked eye. It was finally found amongst the strange stones atop Sentinle Hill. A spell was able to reveal its horrid appearance, and only for a moment. Lovecraft drew influences from many different cultures and mythologies. 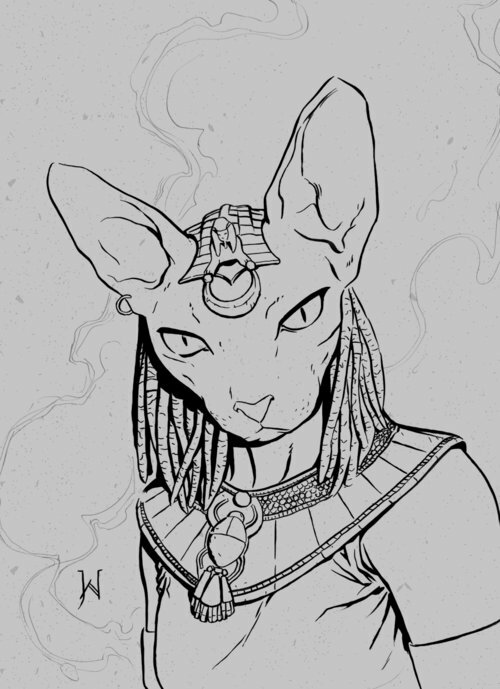 In this case, Bast (or Bastet) comes from Egypt, and is the goddess of warfare. Bast also found worship from the Greeks under the name of Ailuros. Lovecraft in many instances showed his preference for cats. Alhazred, the man known as the mad poet of Sanaá or the mad Arab, lived in Yemen around 700 A.D. His travels took him to the subterranean realms of Egypt and the ruins of Babylon. He later spent 10 years wandering the deserts of Arabia alone. “Dahna”, or the Crimson Desert, as it is now known, is said to be home to monsters and evil spirits. It is here that he found the Nameless City. He later moved to Damascus, where he wrote the Al Azif. In 950, it was translated into Greek with the name Necronomicon. The remains of the Nameless City are in the deserts of the Arabian Peninsula. The city pre-dates human history and was inhabited by a race of reptilian creatures. Their features were an ugly mix of crocodile and seal. The head was stranger still. When Abdul Alhazred, the mad poet and author of the Necronomicon, traveled the deaserts, it was here that he dreamed and wrote the following passage. They came to colonize Earth sometime during the Paleozoic. On an island in the Pacific Ocean, they built a great city out of basalt, call R’lyeh. When it sank, they were trapped beneath the waves with Cthulhu. These beings were originally created for use as a slave race by the Elder Things. Their versatility of shape and form made them ideal workers. The Elder Things grew dependent on their use, despite attempted rebellions. Moon Beasts are said to sail ships between the Moon and the Dreamlands, and trade with the denizens of Dylath-Leen’s port.